Beijing already has two aircraft carriers that have already undergone all the necessary trials prior to duty. The first carrier, the CNS Liaoning, has even participated in its first war games, which took place in disputed areas of the South China Sea. China has launched the construction of a third aircraft carrier, Xinhua News Agency reported on 25 November 2018. The news outlet noted that with the first two carriers having completed sea trials, the construction of a "new-generation" carrier is already underway and added that it would be delivered on schedule. At the same time, Xinhua didn't give any specifics about how the new carrier would differ from the first two and when it is expected to enter into service. 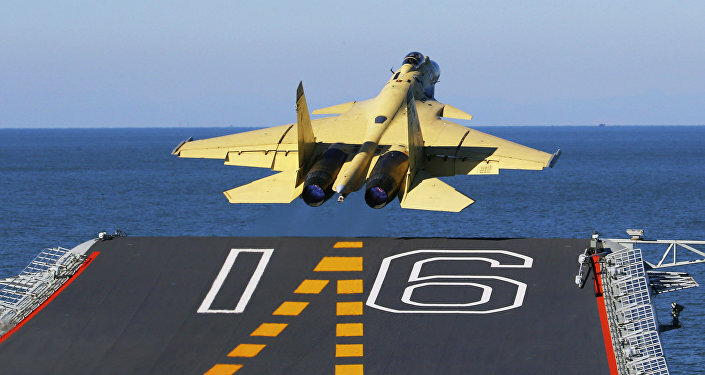 The online outlet China News Service (ECNS) noted that several Chinese weapons enthusiasts have predicted the construction of a new, "bigger and mightier" carrier than the first two. The first Chinese aircraft carrier, the CNS Liaoning, was based on an unfinished Soviet Kuznetsov-class aircraft carrier and was declared combat-ready in 2016. It has already taken part in military exercises that took place in the South China Sea on 18 April 2018. In August, the Liaoning reportedly received upgrades to its radar and air traffic control centre.